Was getting this error when applying a host profile. It happened after I changed the DVS/vDS 'NAME'. I updated it in the host profile too. It's a nondescript error that I couldn't figure a way around. So what did I do? Deleted the profile and created a new host profile based on a host I knew was configured correctly. Voila, SFCB configuration has changed error/noncompliant host profile state GONE! Resolve by simply deleting and recreating host profile. #Echo "n" because I don't want or care for putty/plink to record the server ssh/rsa key. echo n | C:\someplace\plink.exe $ClusterHost.Name -l $creds.username -pw $creds.GetNetworkCredential().password "esxcli system coredump partition set -u; esxcli system coredump partition set --enabled true --smart"
Alan wrote a little snippet awhile back where you can insert it so that it'll download plink automatically for you. It's also how I remember the little echo trick. There are troves of these articles online about this so I'll try to keep this concise. Shut down and disable services on original VM. Rename new VM to original VM's name. ProgramData is typically always on C: drive, so this is a must. C: drive can be replaced w/ drive that you plan to install inventory services. 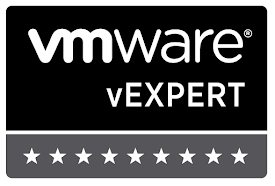 Copy your signed certs from your old VM to this new one in the above directories. 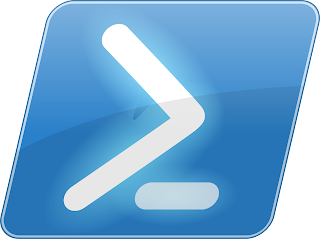 Once you do this and backup the SQL server database, you should be ready to move forward. Essentially, getting the error above was because I did not follow VMware's instructions on updating my signed cert. If I did things properly, meaning updating both the Inventory Service and vCenter Service w/ the same signed cert, I would not have gotten the above error. Meaning I generated a signed cert from my internal CA and only applied it to the vCenter service. The Inventory Service was still using a self-signed cert, which when an upgrade is attempted causes it to blurt out the above error. 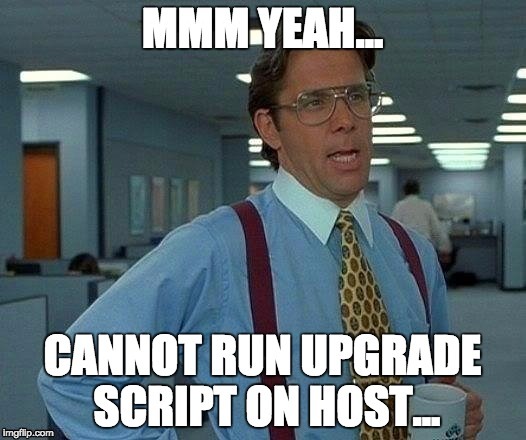 Ran into this problem on about 3 hosts when upgrading from 5.0 to 5.5. KB basically states to check /altbootbank or /bootbank and move the file located in stage.xxxxxxx the the directory above it. Upon first glance, I was thinking: "Well, that'll kill my machine trying to open 10000 VM consoles". But upon closer inspection, it works a bit differently than I first thought. Clicking OK on the highlighted row, passes thru the highlighted 'object' to the next command. You can also select multiple rows and have them all pass to the next cmdlet. I assume this will only work if the next cmdlet knows how to handle multiple objects. 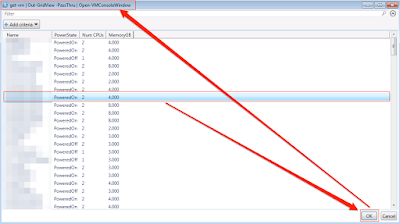 In the case of Open-VMConsoleWindow, it does work. 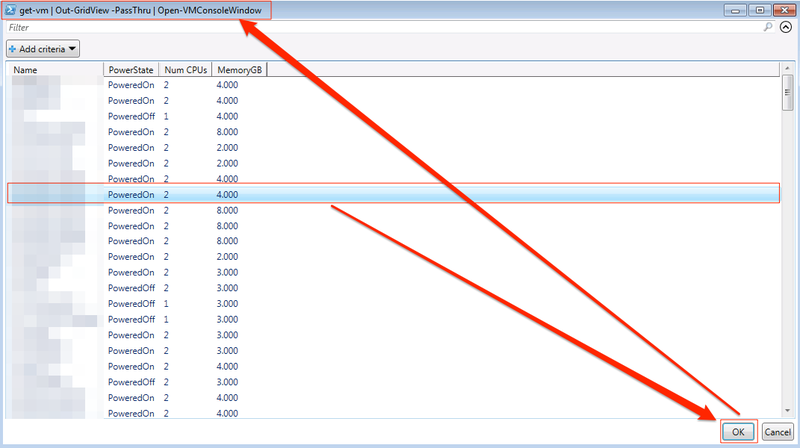 Open-VMConsoleWindow takes in the highlighted object and runs. I didn't realize out-gridview had a passthru option, but now that I do, that can certainly make interactive scripts easier when I want someone to make a selection. 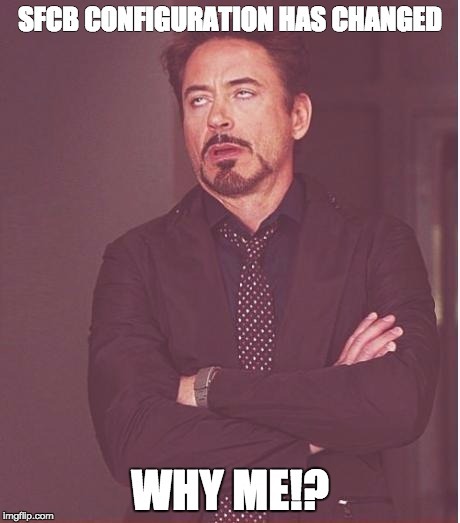 Obviously when I want to be lazy. Basically, you can make use of it anytime you want prompt for a choice and just insert out-gridview in-between your source and destination. Now I just highlight the process I want to kill (granted you can do this in task manager, but hopefully you see the concept), and click OK.